I love this scene. 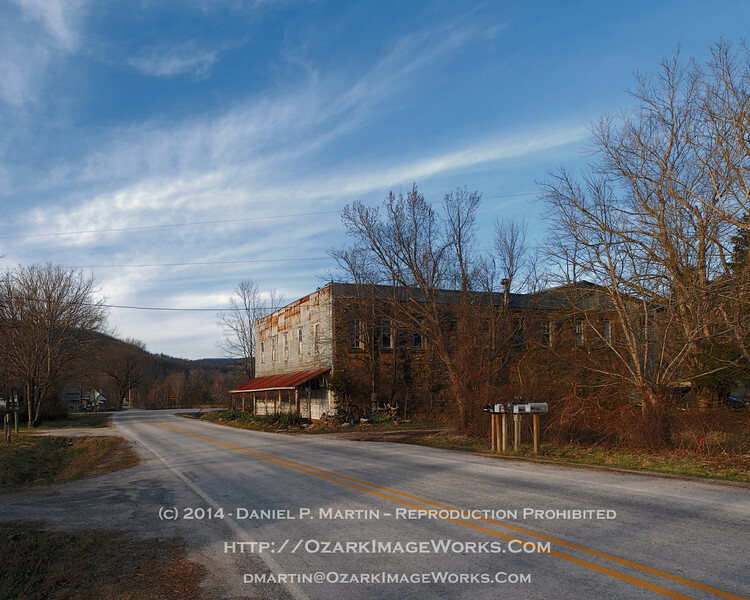 There are details here that represent pieces of life in small towns all over Arkansas. The old general store building speaks to the shape of the world in the early 1900's. The mailboxes speak for the residents who say "We're still here." Then, there's the right-turn arrow sign in the distance. Some folks see it as "Exit This Way," while to others it's like disclaimers in medieval maps that say "Here there be dragons."